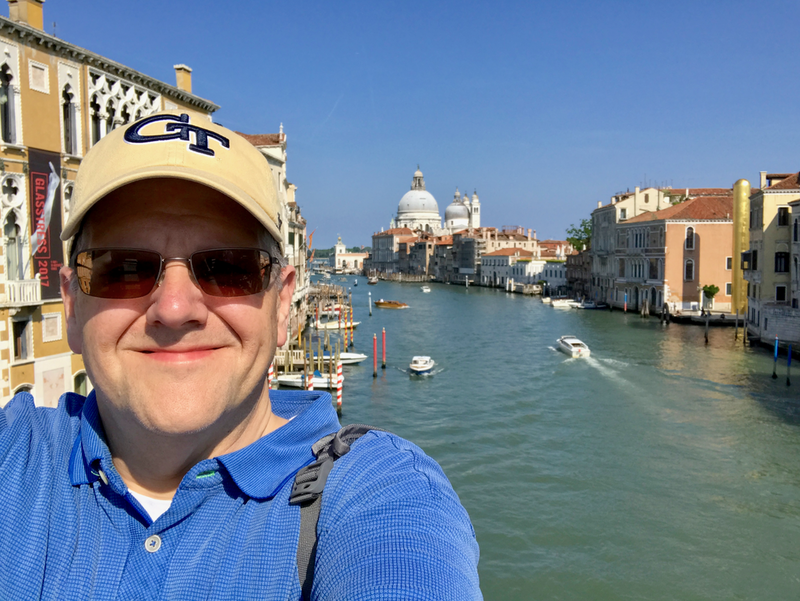 My summer vacation: the Deutschland Adventure! 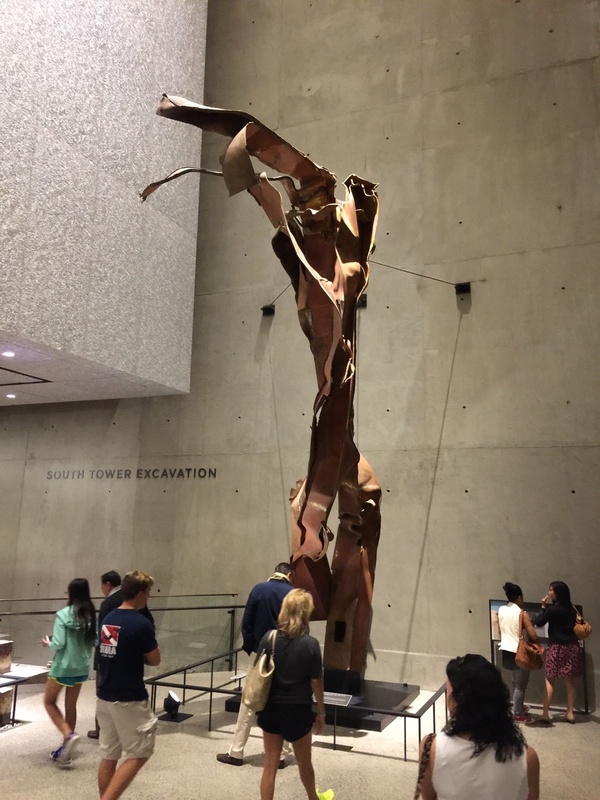 We visited the National September 11 Memorial and Museum in New York City as part of the Deutschland Adventure vacation on the weekend of our return from Europe, so this review is out of order. However, in remembrance of September 11, 2001, I wanted to skip ahead and review this excellent and fitting memorial and museum to the heroes and victims of that horrific day. The memorial and museum complex is located within the footprint of the World Trade Center complex that was destroyed on 9/11. The bases of the twin towers are now twin memorial pools. Ringing these pools are stone surrounds into which are engraved the names of 9/11 victims. Flowers and American flags are placed on many of these names. It's a somber and beautiful memorial to those lost. The memorial is outside the museum and open to the public with no admission daily from 7:30am to 9:00pm. Because we were visiting the museum on July 4 and expecting crowds, we ordered tickets online before leaving on our vacation. The museum is open from 9:00am to 8:00pm Sunday through Thursday and from 9:00am to 9:00pm Friday and Saturday. We were staying two blocks away allowing for a quick walk to make the earliest ticket time of 9:00am. We had visited the memorial pools the night before, so, when we arrived a few minutes before our time slot, we immediately got in line which was minimal and moved quickly. You have to go through airport-style security (though not quite as extensive...you can keep your clothes on!) as has become the norm and would be expected at this museum. Once inside, you are free to move around but there is a guided path and order to visit the exhibits. The museum, of course, focuses on the victims and their stories and includes many recordings of emergency communications, telephone calls and voice mails. One room is dedicated to the victims and includes a dark interior area where victims' names are read and projected on the walls. This room really got to me as you think about the lives senselessly lost that day. Other areas of the museum cover many other aspects of the World Trade Center and the attacks. There are displays on the history of the buildings and their design and construction. One area goes into the geopolitics behind the attacks; I was pleased to see that this was treated in an objective and straight-forward manner. Other exhibits detail the events of the day and include many artifacts ranging from briefcases, burnt print outs that rained down from the buildings, and cell phones all the way to severely damaged fire trucks and steel beams from the building. Given the nature of the National September 11 Museum and Memorial, "enjoy" is not the best word to describe my time there but I was very pleased with my experience and glad I visited. I could have spent far more time reading more of the exhibits. I highly recommend a visit the next time you are in New York City and I certainly intend to return.